Amazon has a one-day Gold Box deal on the Logitech Harmony 550 universal remote control. Normally selling for over $100, you can get a refurbished unit for $45 today. The Harmony 550 supports up to 15 devices, has customizable buttons, and is programmed via the web (it’s PC and Mac compatible). 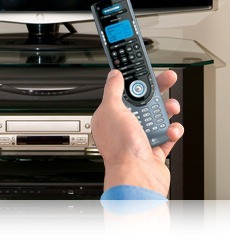 The remote comes with four AAA batteries and carries a 90-day warranty.